Nestled in the majestic Wallowa Mountains, Wallowa Lake is a breathtakingly beautiful glacial lake. At its foot is the small town of Joseph, home of several fine arts bronze foundries and galleries. 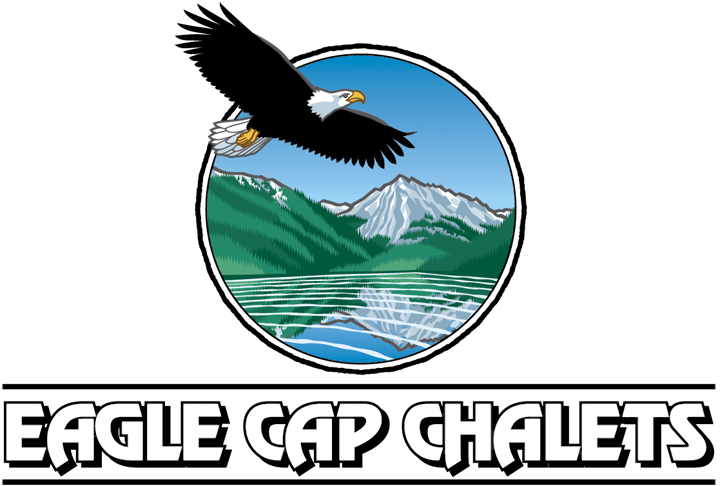 At the head of the lake is the little community of Wallowa Lake where Eagle Cap Chalets is located. We have activities for everyone: fishing, boating, golfing, horseback riding, hiking, swimming, go carts, bicycling, shopping, museums, hunting, skiing, snowmobiling, touring and photography. Or you can just curl up in your cabin with a book by the fire and get away from it all! Summers and holidays fill up fast, so call early! For vacations and group events, have alternate dates if possible.